October 10 - December 23, 2014. 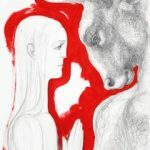 This exhibition explores the work of the young Russian artist Anya Gusakova and her series the Taming of the Minotaur. 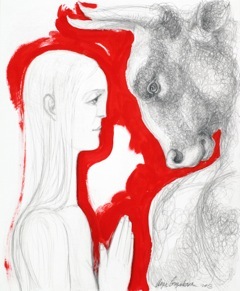 Inspired by the surrealist works of Picasso, which examined the baser human instincts of man, through this mythological half man half bull figure from Greco-Roman lore, Gusakova reveals that our roughest instincts can be tamed and that we are capable of expressing great humanity and touching compassion.